My friend introduced me to Julep a month ago. She informed me that the they sell great nail polishes and awesome products worth trying out. I decided to sign up to their monthly Julep Maven club in order to receive my first free monthly Maven box. Needless to say I haven't be disappointed yet. Julep also allows its Maven customers to shop their store at a nice discount. I have to admit I really like receiving their sale discount codes from the company that really help to make a dent in the price. 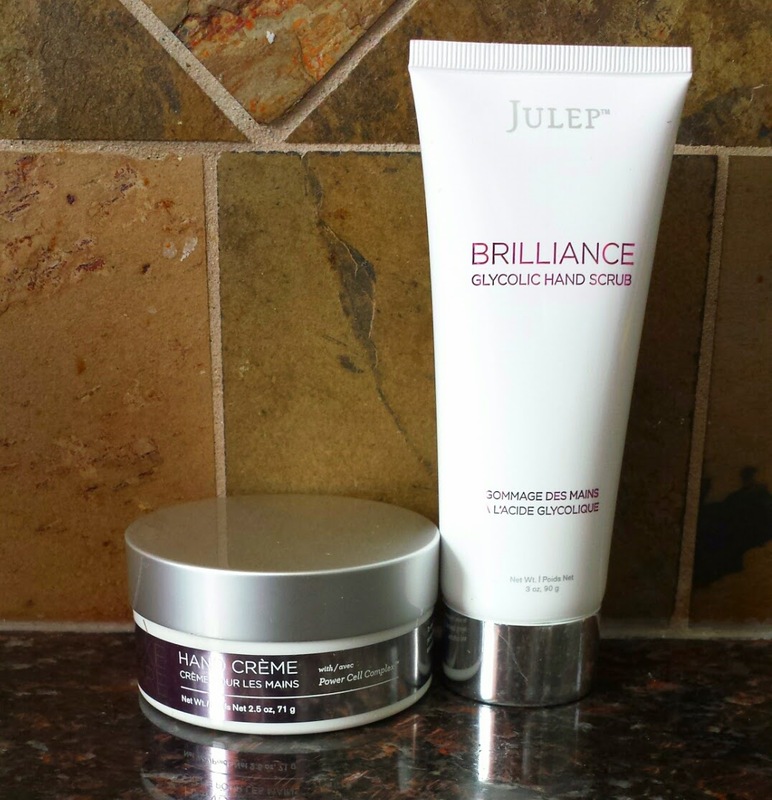 I recently order their Brilliance Glycolic Scrub and Luxe Care Hand Creme. The scrub cost $18.40 and the hand creme was $16.00. However since I was a Julep Maven customer I received a 50% coupon in my first free monthly Maven Julep box and the total price with free shipping came out to $17.20. So basically I received one whole product for free and the other one for $1 off! I have to say that was a sweet deal! I decided to try this product as I was intrigued due to the fact that it has Glycolic acid (GA) in it. Glycolic Acid (also known as AHA) helps to remove dead skin cells at the top of the surface. It comes from natural sources like sugar canes, however it is eventually turned into a synthetic form. GA works as an actual exfoliator. People tend to think that scrubs are exfoliators. They aren't. 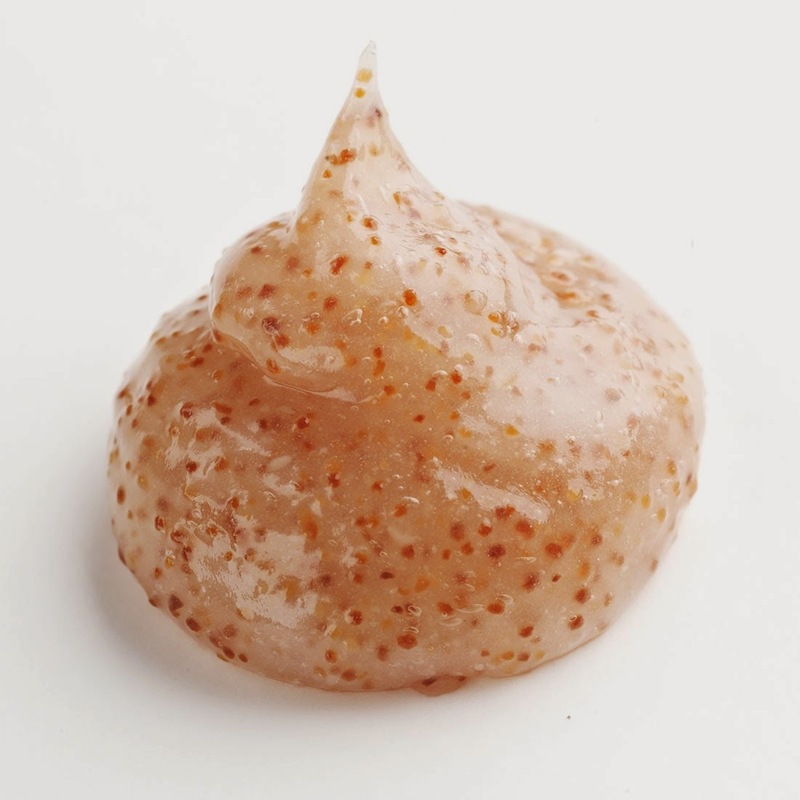 Facial scrubs "help" to remove some dirty off the top of the face. However they don't actually do much as they don't stimulate cell turn over the way GA does. Scrubs actually cause micro tears on your face because of how delicate the skin is and how abrasive scrubs normally are. I would NEVER recommend a scrub of any form for the face. However for the feet and/or hands is a whole different story. A lot of people tend to neglect their hands when it comes to skincare. Yet what many fail to see is that hands are a great indicator of age and overall general health. If you ever looked at the hands of a mature women, you can potential see dry or tough skin, thinning skin, age spot (sun spots, liver spots) and other nasty little hand skin issues. Using GA on your helps them to have a youthful glow and helps the skin repair itself to a point. While you won't end up with hands that look like a teenagers, however it can help to improve the texture, feel and overall look to them. This scrub comes in a generous size tube with an awesome scent to it! This bottom of the scrub is a twist cap. You twist the cap and squeeze, in order for the product to dispense. I love that method as it exposes the product to very little light and air and it minimizes bacteria issues as you are not sticking your (dirty) hands in a jar. The scrub is a sugar cane color with tiny beads in it. You pour a small amount on damp hands. I found that the dampness help to move the scrub easier along the hands versus them being bone dry. You scrub this on your hands in the same way you would if you were using soap. After 30 seconds of scrubing, you rinse it clean of your hands under warm water. I found the scrub beads not to harsh. They didn't feel like they were cutting up my skin and they really helped to get into my cuticle area. Ever since I started using this scrub once at night right before bed, I can see a real difference in my cuticles and dryness on my hands. This is not a hand cream, so don't expect it to moisturizer as that is not its job. It's job is to get rid of dry skin and help improve the overall look and feel to your hands. I really liked this hand scrub and have seen a difference in my hand since I started using it a week ago. Remember everyone see's your hands, so its best you treat them well. Don't neglect your hands. This hand cream is divine! It smells like; geez I can't explain it but its beautiful. The scent isn't overpowering but it isn't to so understated either. This comes in a generous size jar with a screw on lid. I will admit I don't like jar forms of anything because it has been proven creams and serums that come in jars tend to not stabilize themselves and lose their potency with the constant air and light exposure. Not to mention the bacteria it eventually collects from sticking our hands in them. However since this is going my hands and not my face, I can live with it! 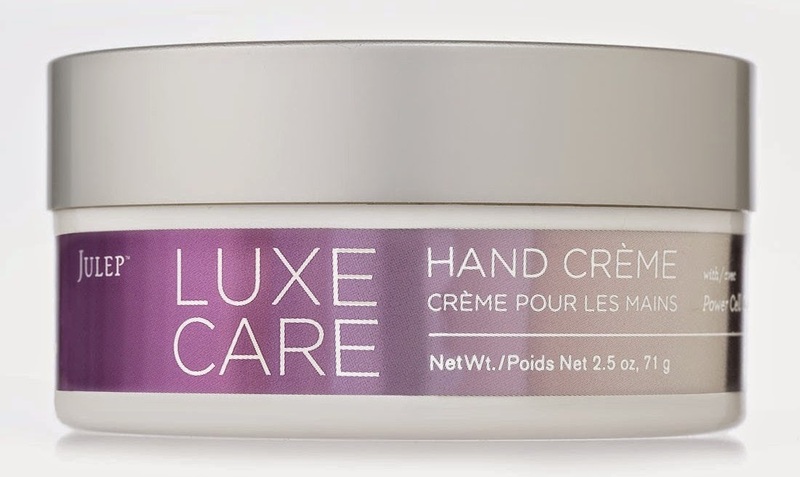 This hand creme is infused with glycerin, Power Cell Complex formula that consist of Rosehip Seed Oil, Malvaceae Lipid Extractand and Green Coffee Bean Oil. These ingredients have some great properties to them which help to invigorate, protect and help promote cell turnover on the hands. 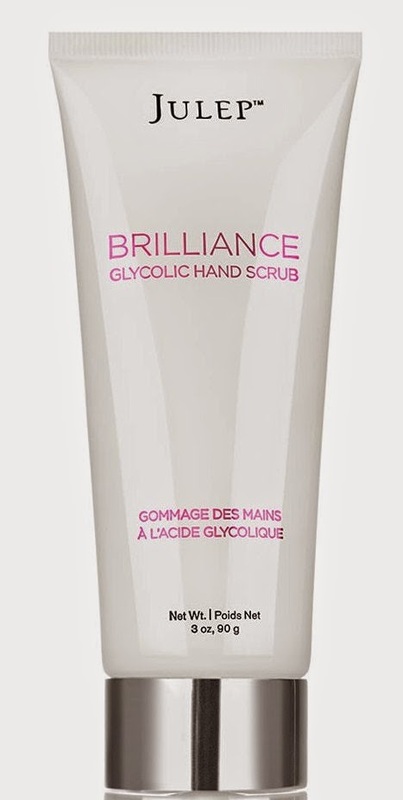 I apply this cream every day once at night after using my Brilliance Glycolic Scrub. It leaves my hands feeling velvety smooth. It does not leave a greasy like feel and it absorbs into the skin nicely. I am never left with that that dry hand feeling after using this product. The cream is very light weight and easily to apply. It isn't so thick that it won't glide over your hands, but it isn't so thin either that you barely feel it. I really enjoying use this hand creme at night and its the LAST thing I use for my nighttime skin and body care routine before going to bed. My only complaint I have with this product was that when it arrived to my house, it was opened and half the contents were missing. I emailed the company right away and they sent me a free bottle in the mail asap. I appreciated their sense of loyalty to the customers and their willingness to rectify this error! That really impressed me! Good job Julep! If you are interesting in trying Julep for FREE! Yes I said it FREE!! Then click on the image below to get your free box. Type in the code "Freebox" or "Sizzle" and your shipping (if you live in Canada or the US) will be $2.99! That is all I paid to get my Julep Maven box in Canada! If you realize that you don't like your first free Julep box then you can cancel by the 24th of the next month (the latest) in order to not be billed from the following month! But trust me, their products are really good, so you won't want to consider leaving till you tried them out! I really like Julep and I will be doing a review of my first free Maven July Box and my August Maven box next week!